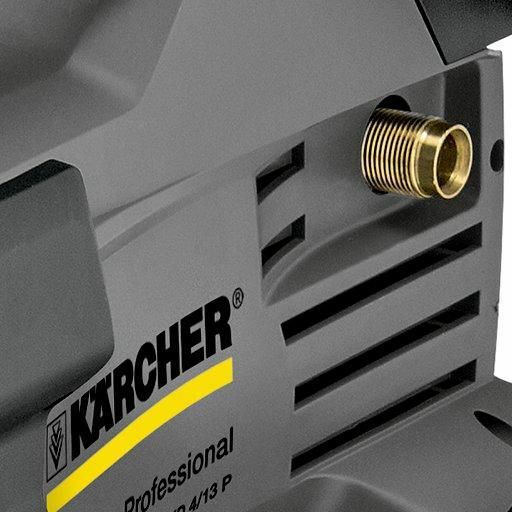 Kärcher’s HD 4/9 P 110V offers professional quality and performance in a truly portable package. 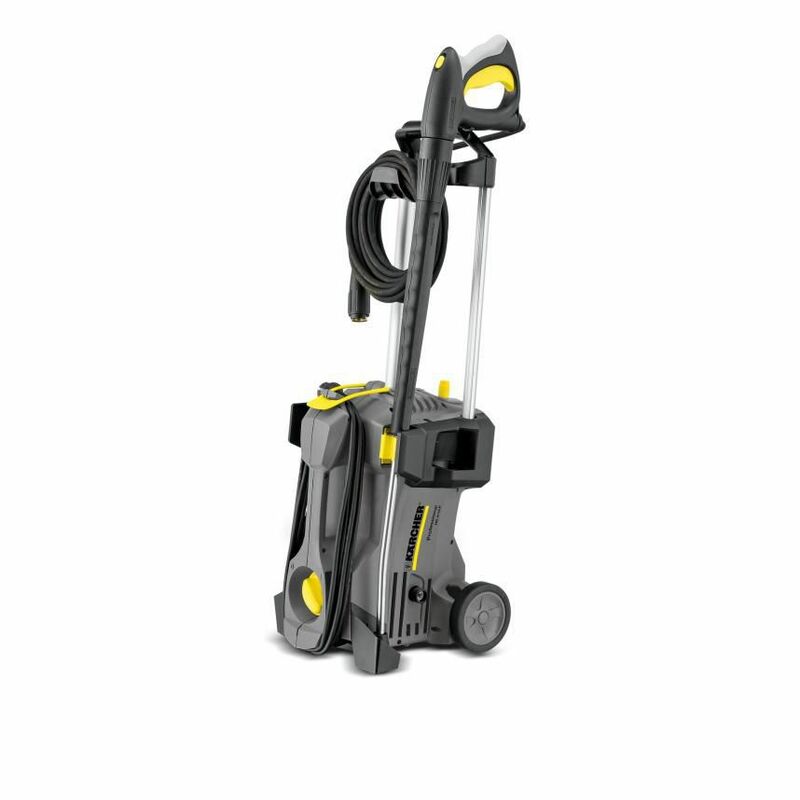 Thanks to its compact dimensions, light weight, and built-in carry handle, the HD 4/9 P is incredibly easy to transport even up steps or ladders. 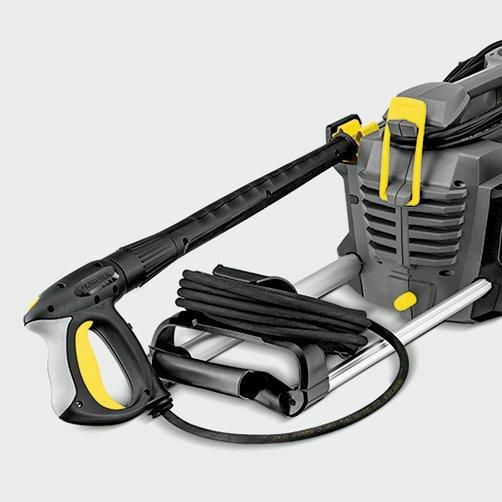 The machine has several features usually found on much more expensive machines, like the automatic pressure relief feature to protect internal components on start-up, the Easy Press trigger gun with rotating lance, and high-grade hose and power cable. All of its professional-grade accessories are stored on-board, providing easy access and helping to prevent trip hazards. 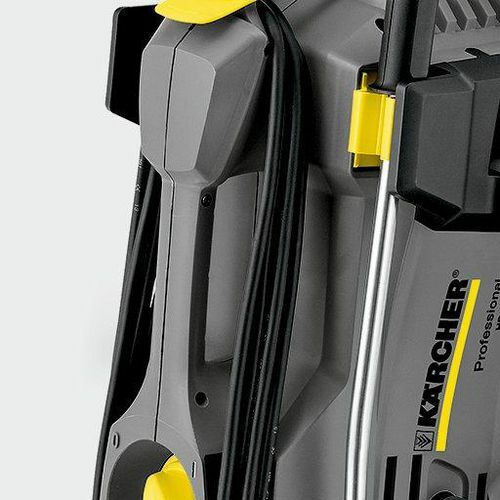 This tough, simple machine can be operated in a vertical or horizontal position, making it safer for use at height or on uneven ground.